Veteran Bollywood and television actor Shammi passed away on Tuesday at the age of 89. 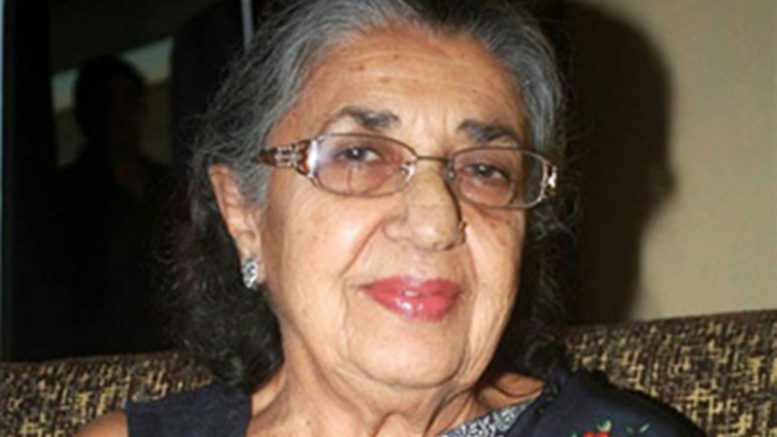 Born Nargis Rabadi in 1929, Shammi began her career in Bollywood in 1949 starring in Ustad Pedro. She shared the screen with Shaikh Mukhtar and Begum Para. She also featured in several Bollywood films, including Jab Jab Phool Khile (1965), Ittefaq (1969), The Burning Train (1980), Arth (1982), Hum (1991), Khuda Gawah (1992), Coolie No. 1 (1995) and Hum Saath Saath Hain (1999). Her last Bollywood film was Shirin Farhad Ki Toh Nikal Padi released in 2013. Shammi was well-known for her comic roles in television series such as Dekh Bhai Dekh, Zabaan Sambhal Ke, Shriman Shrimati and Filmi Chakkar. 1 Comment on "Veteran Bollywood actor Shammi dies at 89"